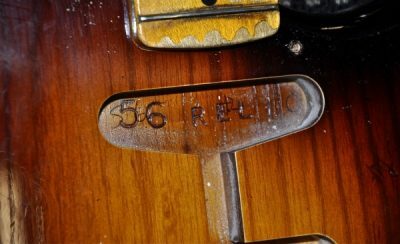 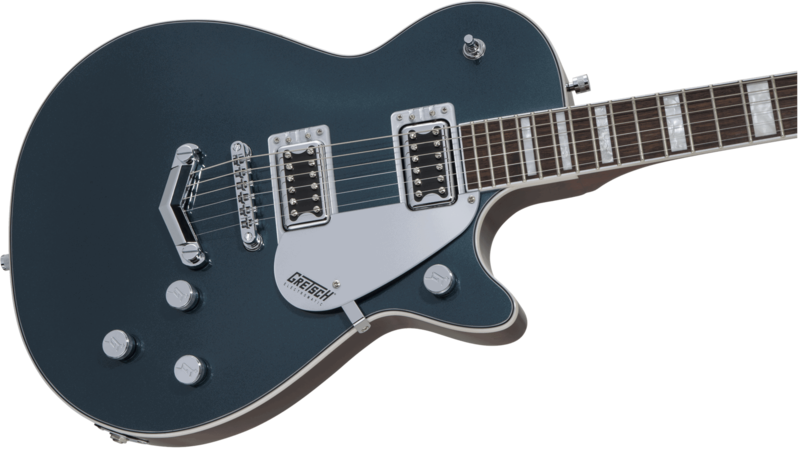 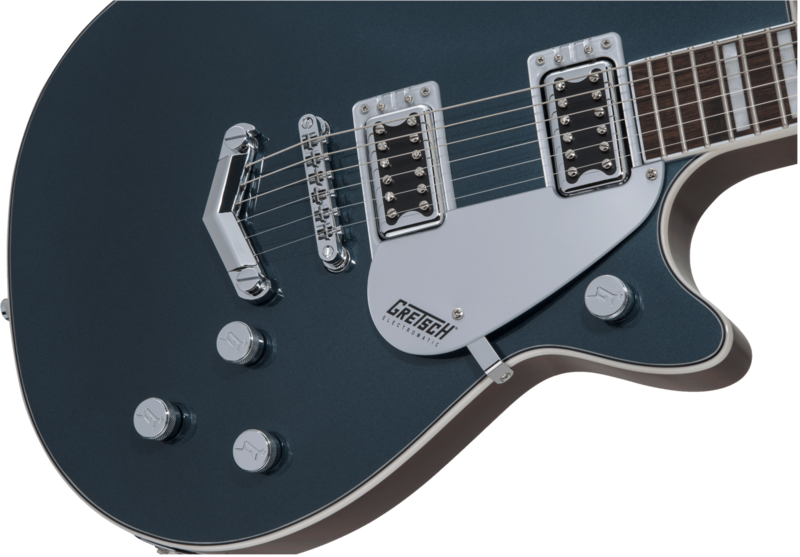 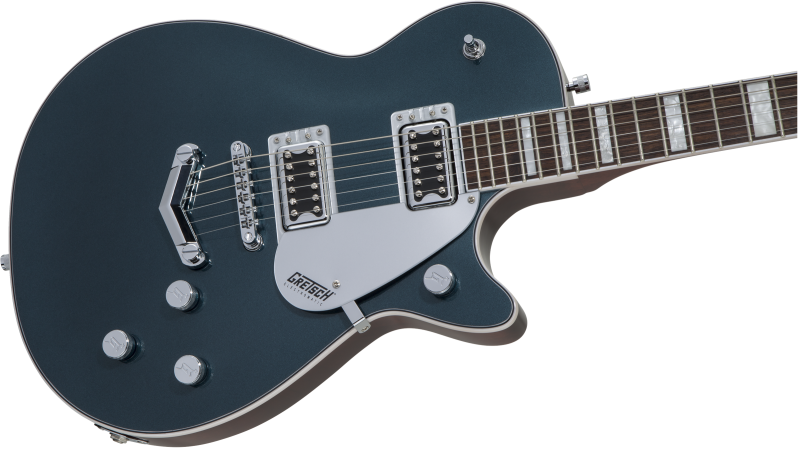 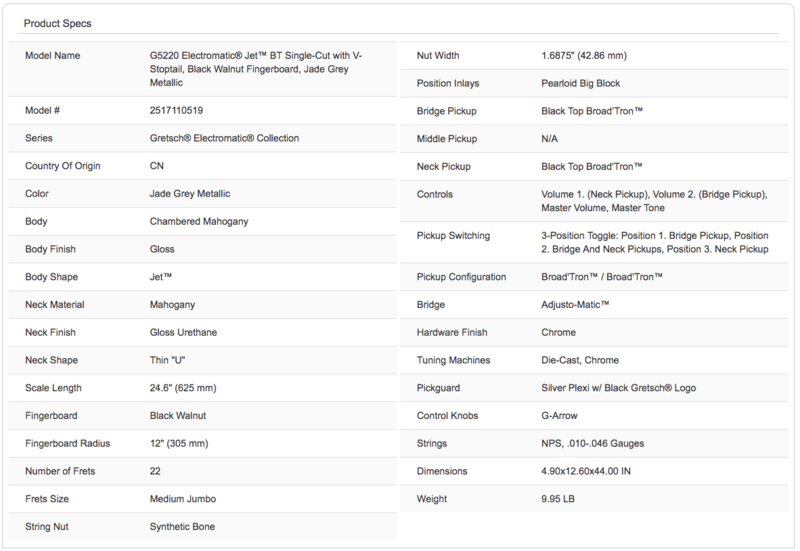 G5220 Gretsch Electromatic Jet BT Single-Cut with V-Stoptail, Black Walnut Fingerboard, Jade Grey Metallic – On The Way! 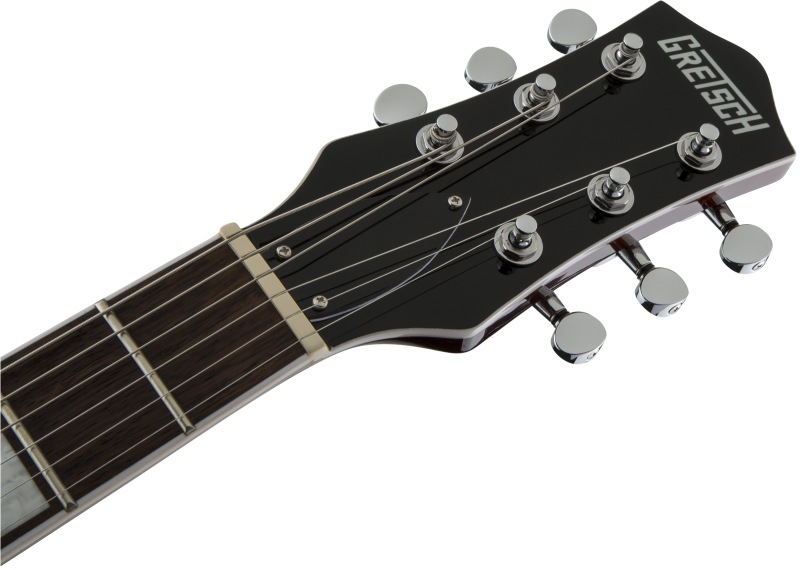 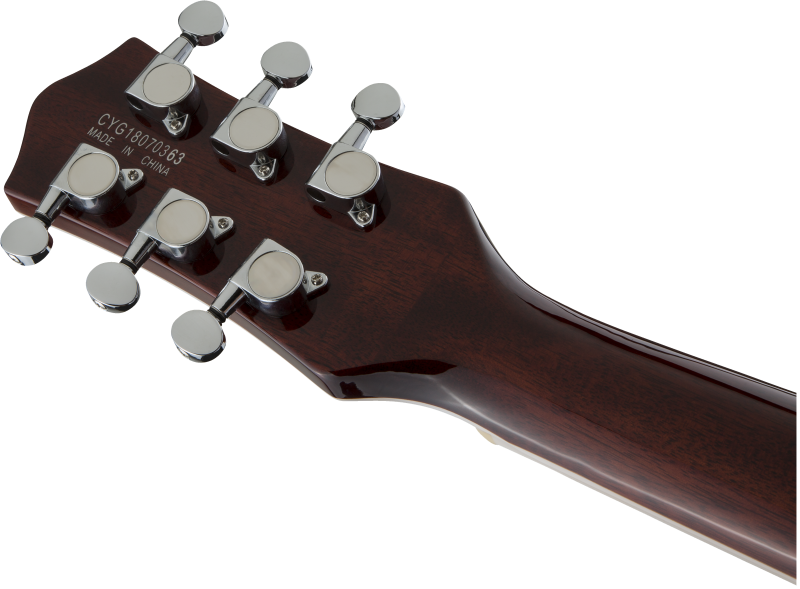 The all-new G5220 Electromatic® Jet™ BT Single-Cut with V-Stoptail delivers Broad’Tron™ power with classic Jet clarity. 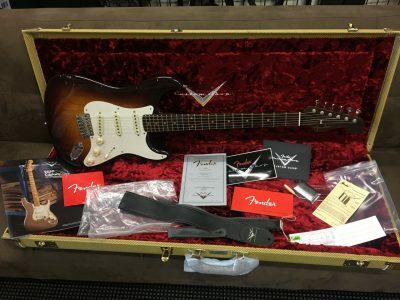 A pair of Black Top Broad’Tron pickups drive the chambered mahogany body with maple top through thick, aggressive overdrive while maintaining astounding definition and note balance suitable for the most pristine clean tone.